Inquisitive and mischievous, a homeless cat scampers through-and suddenly finds herself in the wondrous world of an organic farm! Affectionately named "Molly" by the farmers who discover her, she romps, naps, and hunts among the vegetables. Seen through Molly's eyes, the reader discovers the interplay of nature that grows wholesome food. 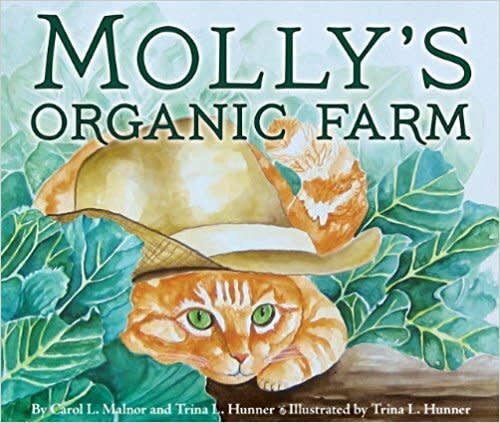 Based on a true story, Molly will touch children's hearts while introducing them to plants and the key elements of growing food organically.